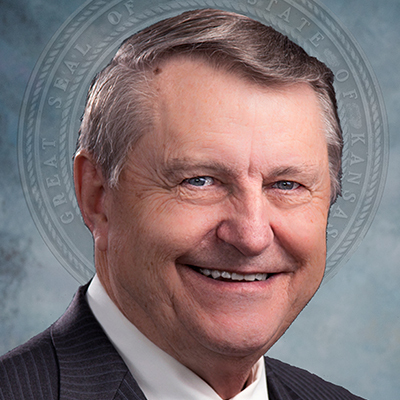 Former legislator Richard Carlson was appointed as Secretary of Transportation and Director of the Kansas Turnpike Authority in January of 2017. The St. Mary’s native had been Legislative Liaison and Tax Policy Advisor for the Kansas Department of Revenue since December 2014. Interim Secretary Carlson served in the Kansas House of Representatives for 10 years beginning in 2004, representing the 61st District of Pottawatomie County and northern Wabaunsee County. He was Chairman of the House Taxation Committee for six years and also a member of the Appropriations Committee and Commerce and Labor Committee. He was a Pottawatomie County Commissioner for 12 years before being elected to the Legislature. An economics and business graduate of Kansas State University, Secretary Carlson served in the Kansas Army National Guard and is a graduate of the Kansas Leadership program. He also served on the board of the Flint Hills Regional Leadership Program.